Whether you purchase or sell silver, you’ll have to be aware of the tax implications. Make sure that you’re fully informed as to what you need to report to the Internal Revenue Service, if you’re a United States taxpayer. Tax requirements differ in the United States. Even the time that you hold onto your silver before selling matters and determines your tax rate. The forms you’ll need to file depend on the size of transaction and type of silver product. Being unaware of the requirements is not a valid excuse; you can face a full audit and investigation, 10% penalty tax (at best), income taxes, and criminal charges. Know how to report your silver transaction. The state you live in also determines how you are taxed. Certain states such as Florida, New Hampshire, and Texas do not tax gains from the sales of precious metals. Rhode Island is the only state to tax short-term capital gains at a lower rate than regular income tax rate. Massachusetts and South Carolina offer reduced tax rates to investors who sell their silver after a year of purchase, which is classified as a long term investment. 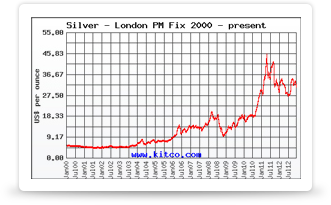 The status of your silver does not always need to be reported to the government. In theory, you could hold onto your silver investment for decades and never pay taxes on the wealth you’ve amassed from silver. You may have to pay for the initial sales tax when buying, and likely the capital gains when selling, but not the period in between. You won’t have to pay Value Added Tax, nor a Goods and Services Tax when you buy silver. When you purchase silver over $10,000 utilizing a cash payment (physical cash, certified checks, money orders, etc), you’ll have to report it on Form 8300. Delaware is a state that is considered a tax haven. If you choose to store your silver in a Delaware depository, you do not have to pay sales tax if the depository receives your shipment directly. Taxes can add up if you make frequent transactions, so this is something to consider. Learn more about taxing and reporting when buying. Silver and other precious metals are classified as collectibles, and profits on these investments are taxed differently than traditional investments. When you sell silver, any profit you make will be taxed at a realized capital gains rate of 28%. All forms of silver except for mining stocks are collectibles. If you sell the silver within one year of purchasing it, it is considered a short term investment, and will be taxed at the normal income rate, usually 35%. This differs based on the state you live in. To report alternate sources of income, you will use Form 1099-B. To avoid capital gains tax, you can make a 1031 exchange where you exchange your silver for a “like-kind” silver product within 180 days of the sale. You can sell one type of silver and receive the same type of silver in return- such as silver bullion for silver bullion, etc. Learn more about taxes and reporting when selling. An IRA is an Individual Retirement Account that is tax-deferred. This means any investment you place into your portfolio is not taxable until the time that you withdraw it, and the initial investment is also tax deductible. An IRA with silver assets is called a Self-Directed IRA Account, and only certain silver bullion bars and coins are IRA approved. Learn more about silver IRAs.